Is Gulf Seafood Safe to Eat? Which Gulf seafood is safe to eat—and which Gulf seafood you should avoid—during red tide. 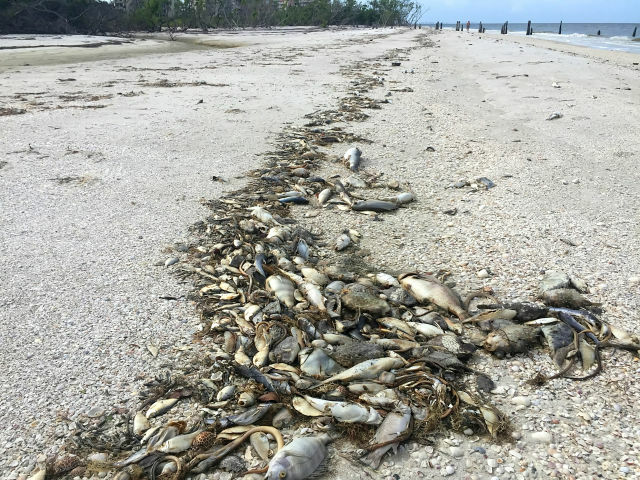 While red tide may have affected the number of times you've visited the beach this summer, according to the Florida Department of Agriculture and Consumer Services' Division of Aquaculture, it shouldn’t affect how often you enjoy your favorite Gulf seafood. Information released by the department states that toxins associated with the microorganism Karenia brevis, which are responsible for red tide, do not pose a risk to consumers who eat commercial Gulf seafood. Casualties from the current red tide outbreak. Both commercial fishing companies and the Department of Agriculture are monitoring catches for Karenia brevis toxins. In addition to testing seafood that has already been caught, the state also monitors shellfish harvesting areas around Florida. If there are more than 1,000 Karenia brevis cells per liter of water, the department declares shellfish beds in those waters unsafe and closes them until repeated water testing finds the shellfish safe to eat again. Most shellfish beds in the Sarasota area are currently closed due to the presence of red tide. Recreationally caught seafood contains a higher risk. Cooking and freezing do not destroy red tide toxins, so consumers should be cautious when handling and preparing recreationally caught seafood. 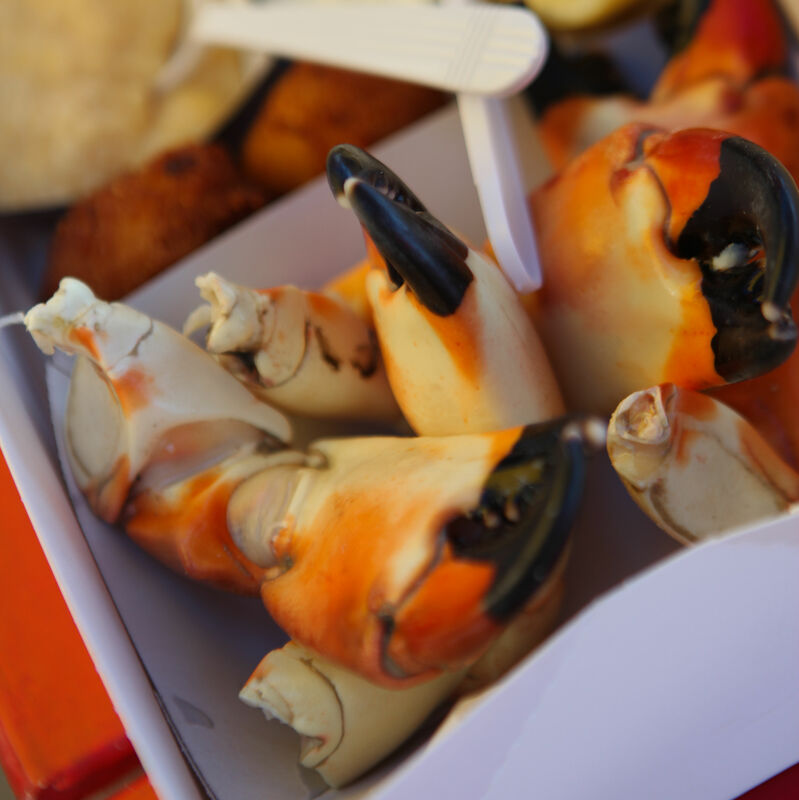 While fish, crab and shrimp are safe to eat as long as they are caught live and properly filleted (Karenia brevis toxins only reside in the guts, skin or exoskeleton of fish and crustaceans), recreationally harvested mollusks can pose a serious health risk. Unlike fish and crustaceans, mollusks such as scallops, oysters, clams and mussels absorb the Karenia brevis toxins into their edible tissues. The consumption of mollusks contaminated by Karenia brevis can result in Neurotoxic Shellfish Poisoning—a rare but serious health condition. 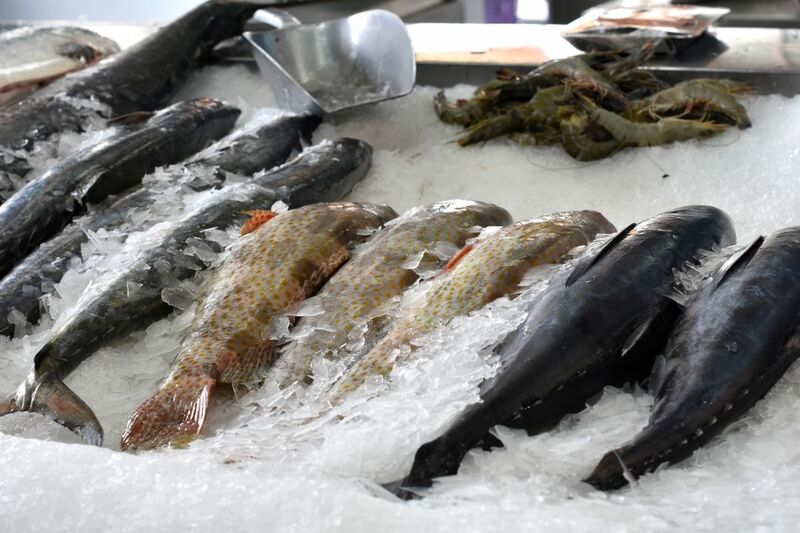 Sarasota’s branch of the Florida Department of Agriculture and Consumer Services' Division of Aquaculture is based in Port Charlotte and is responsible for monitoring the coastal waters between Collier and Pinellas counties. If you have more questions about state water testing or the Karina brevis toxin, visit freshfromflorida.com or call the Division of Aquaculture at (850) 617-7600. At the exalted waterfront dive that is Star Fish Company, the food is served in white plastic containers the size of shoe boxes, unassuming packages that conceal the greatness within.